We are offering Fuel Gas CO2 Recovery Plant. These are precision-engineered using quality materials and advanced production technology. The most common applications being the Breweries & the distilleries who are small consumers of CO2. Recovery Plant capacities ranging from smallest 50 kg/hr to even 40 TPD plants for a distillery can be supplied. Our precision engineered range of CO2 Gas Recovery Plant from industrial processes like - Fermentation, Calcium Chloride PLant, Magnesium Sulfate Plant and Sodium Silicate PLants are renowned. The CO2 gas is cost effectively recovered. 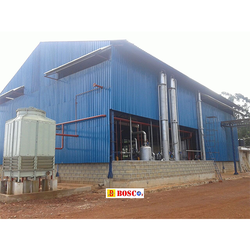 The Bio Gas Base CO2 Recovery Plants that we offer are manufactured using quality raw materials. Our personnel design these plants using precision technology and ensure compliance with the international quality standards. These are highly acclaimed for its durability, dimensional accuracy, and longer functional life attributes. 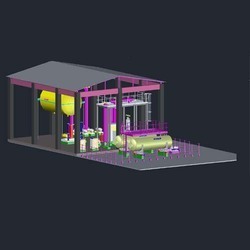 Owing to our made expertise and information, we tend to engaged in presenting top quality Carbon Dioxide Recovery Plant. Our Carbon Dioxide Recovery Plant is manufactured with best at extremely economical style.